Contact us for rehab information whatever the time on Facebook, via e-mail or simply WhatsApp, SMS or call us on either number. Now you have discovered us, the next step is to reach out and contact us, it could be the best decision that you ever make! We have all the impartial rehab information and recovery packages abroad that you will ever need. 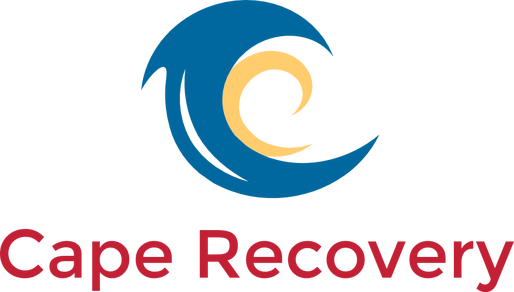 Why Contact 'Rehab Cape Town' with Cape Recovery for Rehab information? We have highly experienced staff from very different backgrounds, both ones who are in recovery themselves and ones who have lived with or worked alongside addicts, alcoholics or people suffering from eating disorders and dual-diagnosis issues. This enables us to offer our expert support for not only the addict who requires our help but for their family and friends too. All you have to do is to contact us and we will sort out the rest for you. If it is rapid help for a loved one or for yourself that you require then we can work very quickly to get people into rehab as soon as possible, any day of the week. If you are worried about yourself or a loved one's addiction problem, eating disorder or dual-diagnosis problem and would just like some impartial advice then we are also here to help. Whatever it may be, anything rehab, recovery or addiction related, whatever the addiction, process addiction, dual-diagnosis issue or eating disorder, we know the field inside out because we've been there ourselves (my recovery blog) as addicts in recovery and as health professionals in the addiction field. We are also fully independent of any specific treatment centres or any of the large organisations, which means that we can be fully impartial and brutally honest in our assessment of what ideally is the most suitable course of action for you or your loved ones specific circumstances. We believe that with our unrivalled support, the only thing stopping the individual achieving sobriety is the person themselves and it is our aim to help them overcome that in every way that we can. We are strong and full advocates and also big friends of the meetings and fellowships such as alcoholics anonymous (AA) and narcotics anonymous (NA) and believe that they are a vitally important tool in achieving and maintaining long term sobriety. However, people regularly require that initial push and rehab or other professional support provides them with the tools and offers them the motivation to begin the complicated process of recovery. Once they see that sobriety is actually achievable then they usually find the motivation to remain clean and sober and inevitably, their life improves dramatically. Find out more about the addiction rehabilitation process today, we have excellent partnerships with Primary Rehab, Continued Care Rehab, Secondary Rehab, Tertiary Rehab and Supported Sober Living Homes! So, whatever the addiction, process addiction, dual-diagnosis problem or eating disorder, we are here primarily to help you or a loved one and if that means just pointing people in the right direction or arranging a state rehab facility for the people here in South Africa then that's what we will do, we never turn anyone away without doing all that we can. It's one thing to run a business purely for profit but another to help regardless of any individuals means to pay and our overall desire to help everyone is what sets us apart from everyone else in this business. We are actually happy to help! And our overseas clients help us to help local people by getting involved in charity and voluntary work as part of the CapeRecovery Experience! ​So, Contact us today for the best support for all addictions and related problems and those who are affected by them.